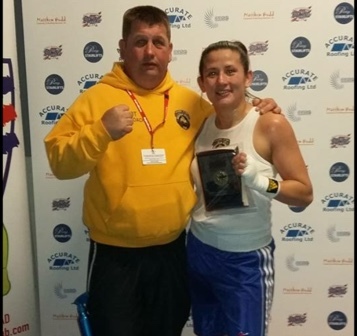 A CHADWELL St Mary kick-boxer has achieved another impressive win in her short career. THURROCK boxer, Tey Lynn-Jones’ run of good form has continued with a resounding points victory against journeyman Harry Matthews. 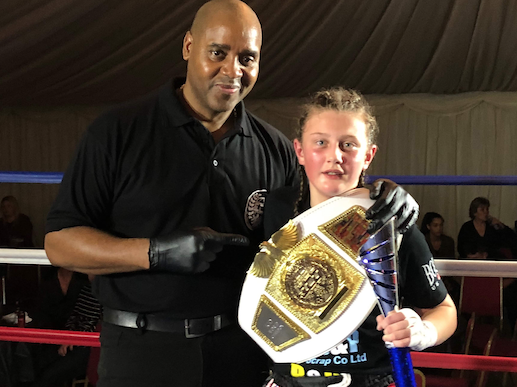 GEORGE O’Leary from South Ockendon defended and retained his English super-middleweight title in style at the EBA boxing event, Civic Hall, Grays on Saturday 30th September. 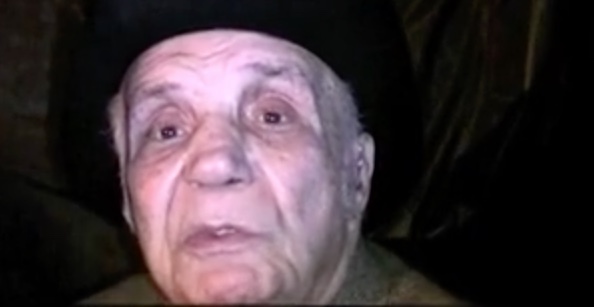 THE RAGING Bull, Jake La Motta has passed away aged 95. The world boxing champion was immortalised in Martin Scorcese’s film in 1980. Back in 2009, we had the privilege of interviewing Mr La Motta. 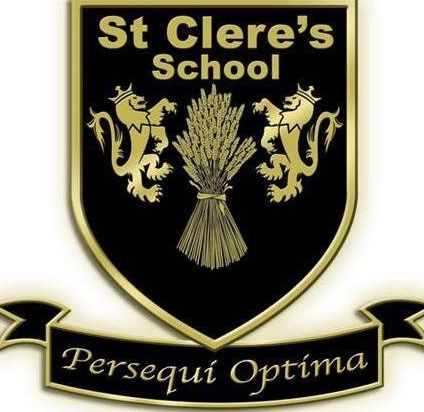 FOUR wins out of four in what was a brilliant weekend of boxing for Chadwell St Mary Amateur Boxing Club. Boxing: Will it be a birthday bash for Tey Lynn Jones? 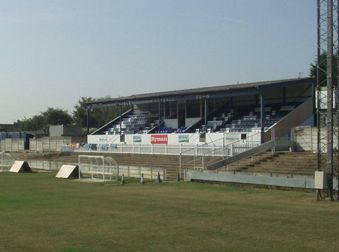 AVELEY went down by three goals to one against promotion-chasing Brightlingsea Regent. POPULAR Horndon boxer John Wayne Hibbert announced his retirement from boxing after being knocked out in the fourth round at Wembley on Saturday. 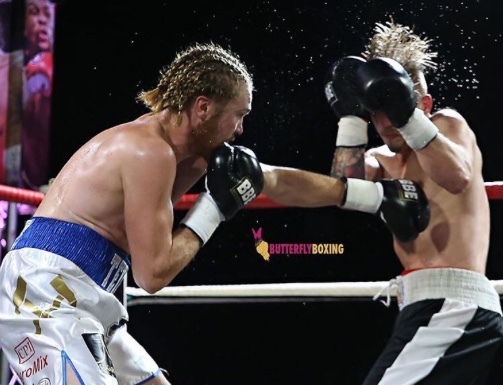 STANFORD boxer “John” Wayne Hibbert is confident he can lift the vacant Southern Area light welterweight title next month. The 29-year-old will do battle at the Civic Hall in Grays on Saturday July 19th. 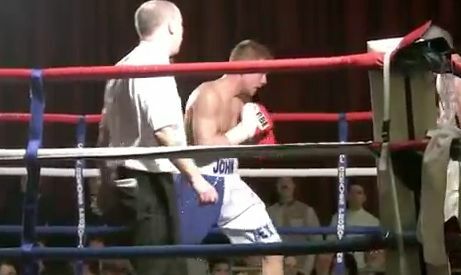 STANFORD-LE-Hope boxer, “John” Wayne Hibbert took just one round to demolish his latest opponent at the Civic Hall in Grays. ‘John’ .Wayne, fighting out of Corringham, demolished the Czech Republic’s Michael Vostkoff with a first round left hook knock out. 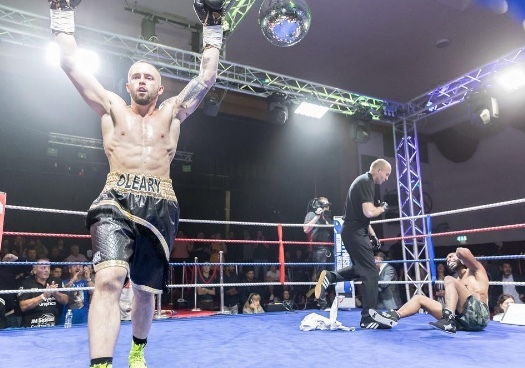 EAST TILBURY-based boxer “Rockin'” Robin Deakin has lost his latest bout. 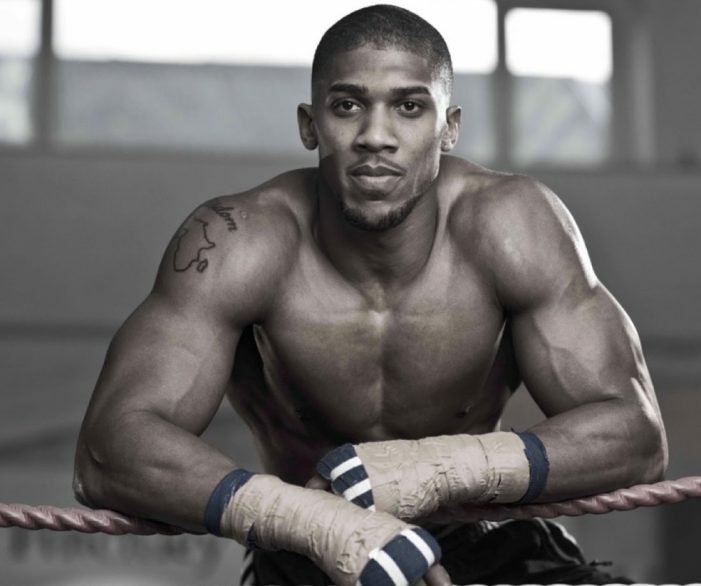 The boxer now has the unenviable record of 51 losses in a row. WITH a professional record of one win and 50 straight losses, Deakin has been under fire from national press, being proclaimed the worst boxer and Britain, even losing his British Boxing licence after the British Boxing Board of Control (BBBC) became concerned for his health. TILBURY boxer Matt McCarthy has added the International masters welterweight title to his growing list of achievements. Matt did it by winning on points against dangerous opponent Michael Vosyka at York Hall in Bethnal Green. 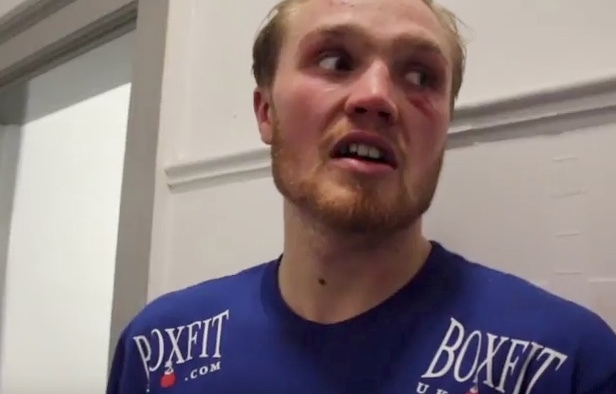 The win was unanimous but Vosyka did cause Matt some problems, including breaking his nose (in the 4th round). Markham (11st 3lbs) was topping the bill in his hometown against York’s Matthews (also 11st 3lbs), who was in his first fight back since losing on points to Chris Eubank Jr eleven months ago. The away fighter came out of the blocks quickly, throwing much more leather in the opener. LEE ‘Banjo’ Markham (7-1) and Harry ‘The Pocklington Rocket’ Matthews (12-6-1) both weighed in at 11st 3lbs for tomorrow night’s British Masters Middleweight clash at Grays Civic Hall, which is being aired on Eurosport from 8pm. 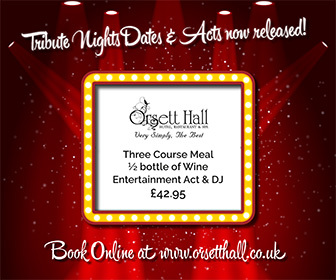 Goodwin Promotions, in association with Robert Waterman, stage their first show for the channel. The card also features Cambridgeshire’s Tornado Tyler Goodjohn (7-2) and Dave O’Connor (4-4) from Plymouth, who both weighed in at 9st 13lbs for their Masters ten rounder at light welter. Chadwell St Mary Boxing Club chairperson Sindy Overy was awarded a High Sheriffs’ Award at the Fennes Estate in Bocking near Braintree in recognition of the valuable service to the community safety in the country. 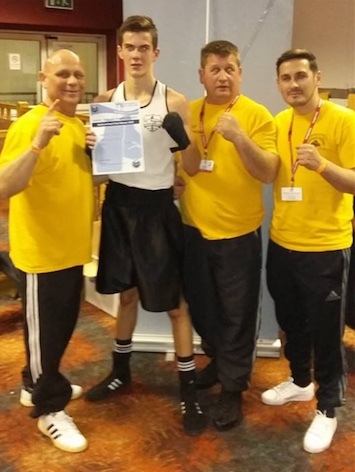 CHADWELL St Mary Boxer Levi Lee 14yrs 57kg won the National Schoolboy Championships for the second year running.Lee boxed against Connor Ward from Northside A.B.C (Manchester) on Sunday 3rd March at Everton Sports Centre in Liverpool. HORNDON heavyweight, John McDermott was back in the boxing spotlight after winning the English Heavyweight title against Matt Skelton. Looking leaner and meaner, John won the fight at the York Hall in Bethanl Green on a majority points decision. 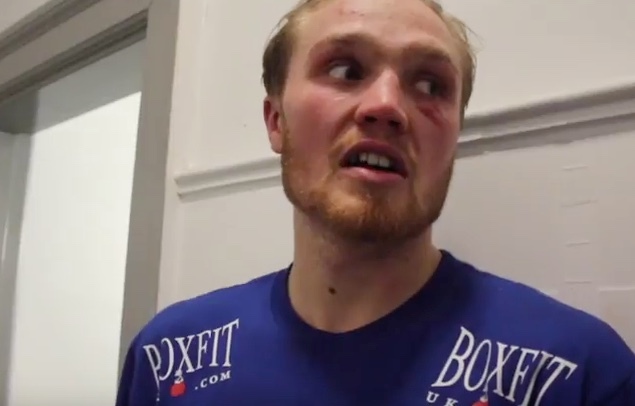 IT LOOKED all over after under two minutes when Horndon heavyweight John McDermott was knocked out by David Price last year but as Mr Price knows himself, it is a roller coaster in boxing these days. The bout offered blow by blow entertainment and wow what a fight! Both fighters were swinging away at each other through the whole 10 rounds, I don’t know how either of them were still standing by the end of it, but they certainly both had their eye on the prize. Wayne Hibbert lived up to his nickname ‘John Wayne’ by coming out to the ring with the air of confidence John Wayne always had in his movies, he was focused and looked at the top of his game.